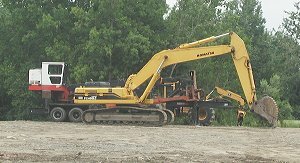 July 6, 2001: Construction started today on the 2nd section of the ARRT in Marlborough. The 1/2 mile segment crosses the Deli property and is located next to the trail that opened just 2 months ago. The new section will start at Fitchburg Street and travel northwest to the I-290 connector highway. Construction is scheduled to finish by December 31st. 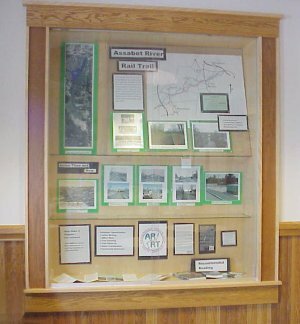 ARRT has a new exhibit in the main display case of the Acton Memorial Library, for the month of July. 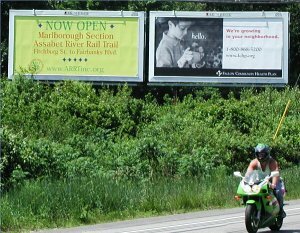 The ARRT billboard in Hudson got its 3rd poster put up this month. The new design is located on Main Street and announces the trail opening.